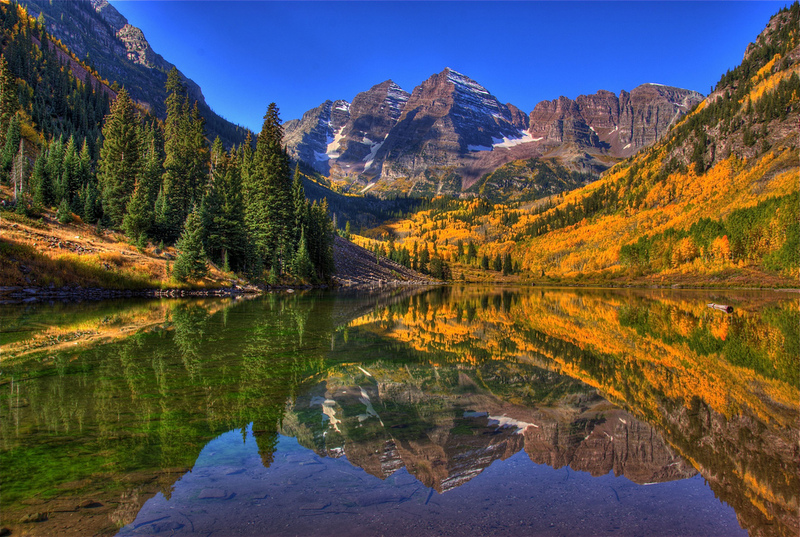 fridays in fall: top 10 fall travel destinations! the appeal: this is home to Maine Acadia National Park and oh my gosh y’all, this place is absolutely stunning! It’s closed to cars, so it stays pretty quiet and serene. Just google this place – it’s unreal! You can enjoy a gorgeous hike in the park and then head over to Bar Harbor for some great restaurants and shopping. The food in Maine is supposedly to die for! the best time to go: Maine can obviously get pretty cold, so it’s best to go before November (especially if you’re a native Texan like Lauren and me!). the appeal: This is definitely one of Lauren’s favorite spots in Colorado and for good reason. Aspen has some of the most beautiful hikes and is full of adorable boutique hotels (like The Little Nell!). Aspen is one of those places where once you get there, you never have to go very far for anything – it’s such a cute town and has so much to do! This would be perfect for a little weekend getaway with your hubby or a fun ski trip with friends! the best time to go: anytime! The fall foliage is gorgeous, but Aspen is also an amazing skiing spot, too! the appeal: I mean, Taylor Swift has a whole song about it, so that’s reason enough, right? 😉 okay but seriously, NYC is always a good idea! Central Park is breathtaking in the fall and there is never a shortage of fun things to do or yummy restaurants to eat at in New York. 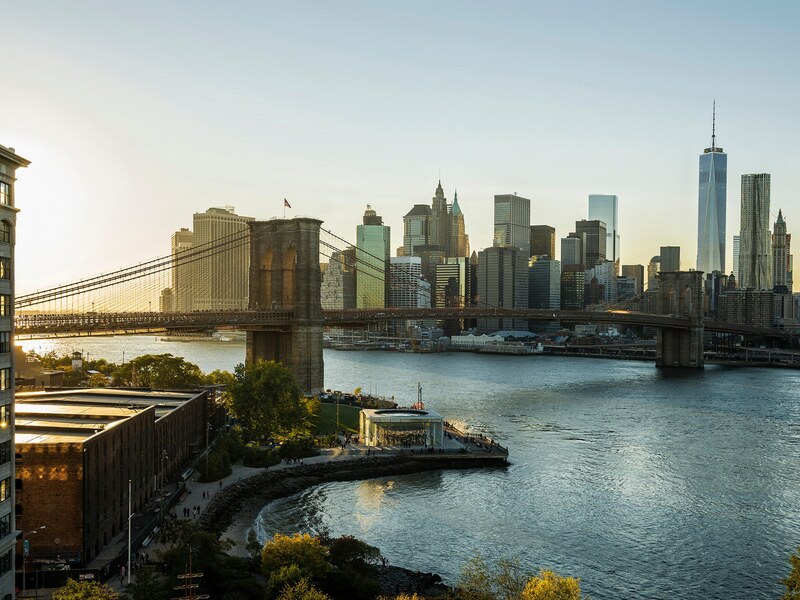 Stay in the Upper East Side for a more quiet, family-oriented scene or head to West Village if you want to be right in the center of it all. the best time to go: anytime! early fall is absolutely beautiful, but New York goes all out for the holidays (Macy’s Thanksgiving Day Parade, Christmas tree and ice skating in Rockefeller Center!) so that’s a fun time to go, too! the appeal: well in case you missed Wednesday’s post, check that out here. 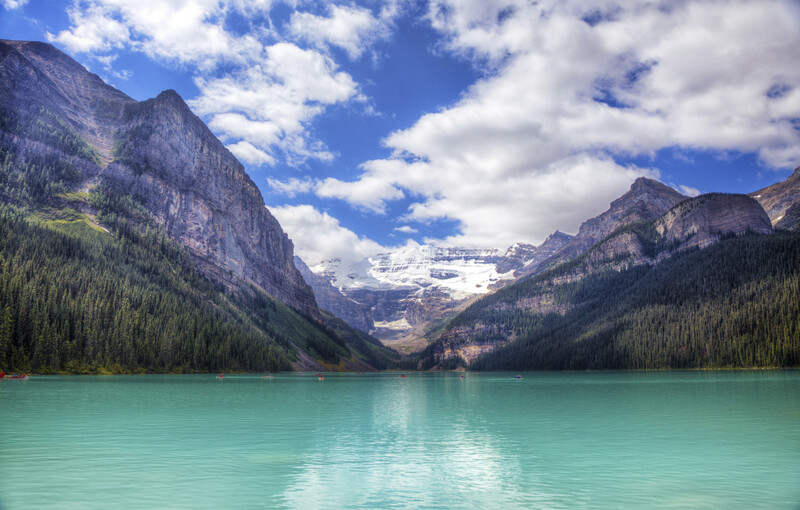 Lauren and Michael just went to Banff/Lake Louise and said it was one of the most beautiful places they’ve ever been. It’s great spot for outdoor activities – gorgeous hiking, scenic kayaking, etc – but also has some great restaurants and shopping. Lauren’s parents are there right now and they agree it’s definitely one of the most beautiful travel destinations. I’ve never been, but it’s definitely on our list! the best time to go: mid-September – October. It’s less crowded during this time and still great weather! The appeal: well obviously I had to make a plug for my new home! But really, Nashville is such a fun spot and is absolutely beautiful this time of year. The leaves start changing and the weather starts cooling down towards the end of September, and there is SO much to do here! If hiking is your thing, check out Radnor Lake or Percy Warner park. If you want a more relaxing activity, head to Arrington Vineyards or Cheekwood Botanical Gardens for the afternoon. Nashville has a ton of great restaurants and there’s always fun, free events going on all over town. Oh, and there’s obviously never a shortage of live music! The best time to go: anytime in the fall! 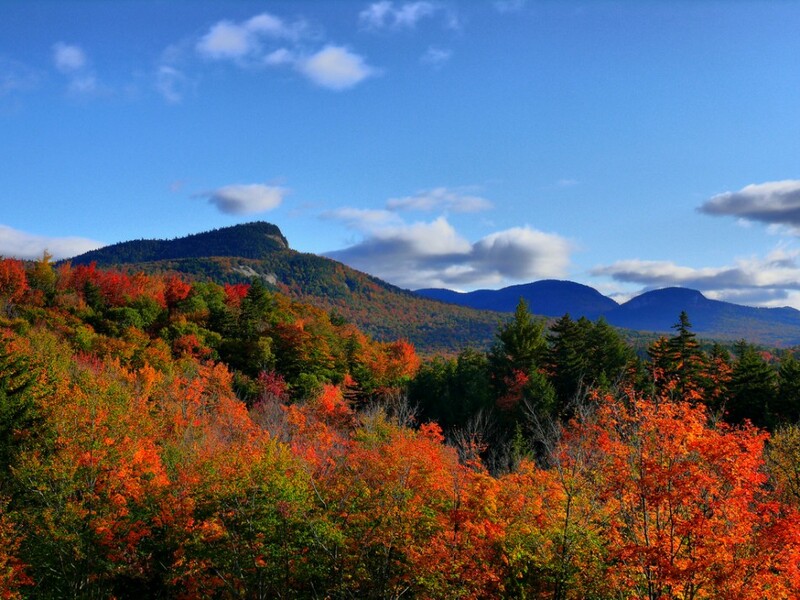 The appeal: the White Mountains are a top travel destination in the northeast and are full of breathtaking scenery and historic charm. There’s lots of hiking trails of varying difficulty, amazing skiing in late fall, brewery tours, and tons of family-friendly activities too! If hiking isn’t your thing and you still want to check out the views, take a ride on the Mount Washington Cog Railway! It’s a cute, old fashioned train that takes you right up the side of Mount Washington. The best time to go: weather is best in the early fall, but there are a few great ski resorts here for later in the year! 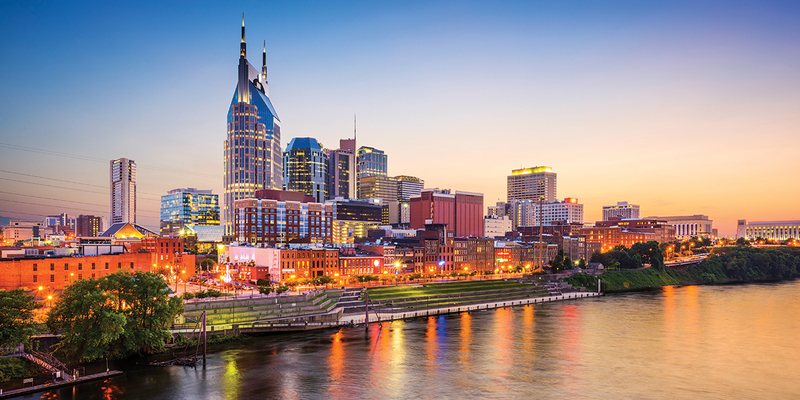 The appeal: this adorable town is all the buzz around Nashville since it’s an easy road trip to make. Asheville has lots of southern charm and iconic spots to visit. 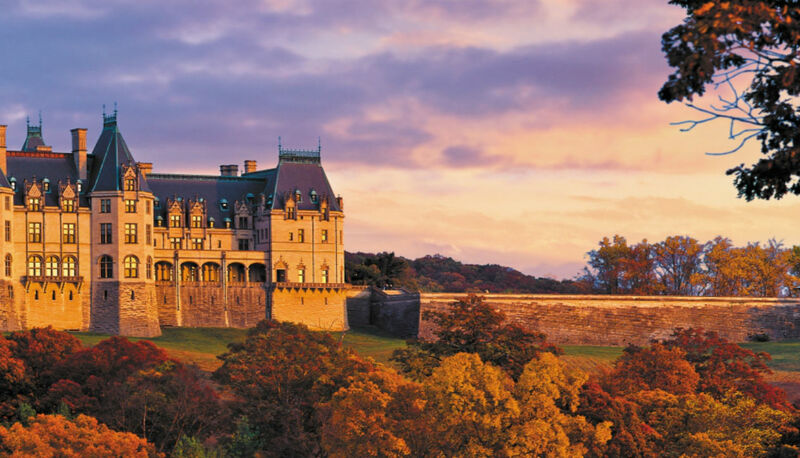 The Biltmore Estate (pictured above) is a must-see historic mansion with beautiful gardens and landscapes. The Blue Ridge Parkway has lots of beautiful hiking, and Asheville also has several amazing wineries, too! it’s all around dreamy and is somewhere Bill and I are hoping to go this fall! The best time to go: anytime in the fall! temperatures don’t drop til mid-November. 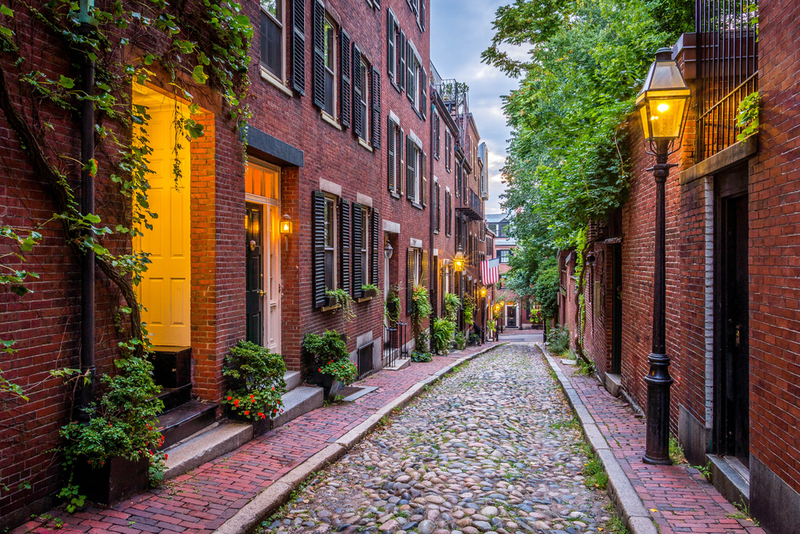 The appeal: Boston is the perfect place to visit if you’re looking for a city rich in history, culture, and excitement. You can check out some beautiful university campuses (like Elle Woods’ alma mater), pop into Quincy Market for lunch, and take all the #basic fall foliage pictures your heart desires. Ha, but seriously, there is SO much to do in this city! It’s also a very walkable city, so be sure to pack comfy kicks like the ones mentioned in yesterday’s post. 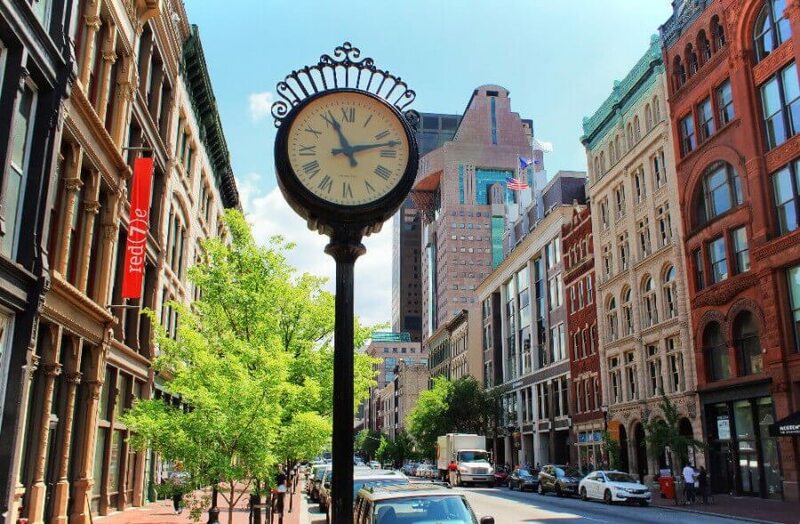 The best time to go: Boston’s known for a bitter winter, so September-November is your best bet! the appeal: Louisville has all the culture and dining of a big city, with the hospitality and spirit you typically only find in a small town. Louisville has everything from fall festivals and the Bourbon trail, to historic homes and Churchill Downs. The Highlands neighborhood is definitely a must-see spot for everyone. Also, according to my hubby, the Louisville basketball and football games are fun to watch these days, too! 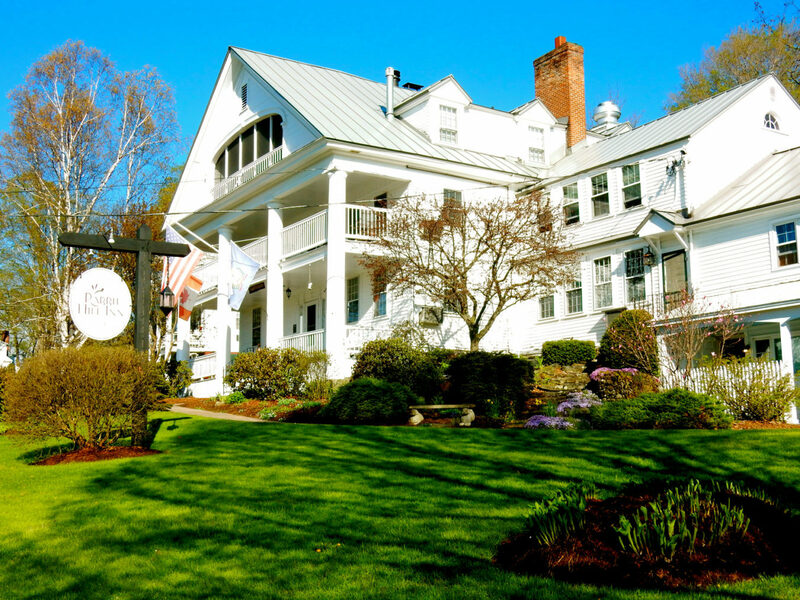 the appeal: this beautiful bed and breakfast is the perfect spot for a romantic New England getaway. Lauren’s parents have nothing but amazing things to say about this place! Located right on the border of Vermont and New Hampshire, there’s never a shortage of outdoor activities to enjoy. The views are seriously breathtaking! If you’re anything like Lauren and me and you love cheese and ice-cream, you can go on a tour of the Cabot cheese factory and, omg, the Ben and Jerry’s factory, too! Hope y’all enjoyed reading this post as much as I enjoyed writing it! If you have any places to add or want to share your photos from any of these spots, we’d love to see it using the hashtag #LKSfridaysinfall ! Thanks for reading and happy Friday! « travel style: comfort meets cute! Yaaasssss Martha! So excited you wrote a post!! aw thanks Torie!! miss you sweet friend! Love this list! 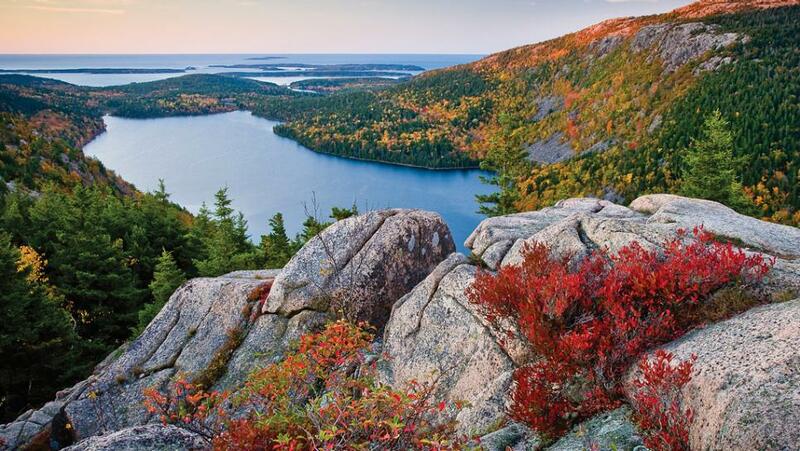 I haven’t heard to Acadia, Maine and now it’s at the top of my list! I’d like to make one suggestion to the Louisville option- go in October and you can head over to Lexington for horse racing at Keeneland! It’s a gorgeous property and it’s so fun to get dressed up and spend the day betting on horses (they only race at Keeneland in April and October)! Also, drive along the backroads for some gorgeous backroads through KY horse farms and you can also make a couple stops along the Bourbon trail at Woodford Reserve, Makers Mark, or Buffalo Trace Distillery. Would be such a fun, fall weekend. Love the list! Martha, loved this post. As Lauren’s parents, you know we are true fall foliage and hiking fanatics! As we’ve just gotten back from Banff/Lake Louise, the only thing I’d tweak is that I’d go as soon after Labor Day as possible, as we had some snow (which was gorgeous! ), but it made for some below freezing hiking mornings. The larch trees were stunning and full peak by mid-September. Lord willing, we’ll get back to that amazing neck of the world sooner, rather than later! One other thing, for those who want to see how gorgeous Canada is, and don’t mind going in peak summer season, most major airlines have a fantastic fare war going on from most big US cities to most major big cities in Canada. DFW to Calgary is under $300 RT through July 2018, so one could actually ski Lake Louise or Whistler pretty cheaply, if they had the bug to travel before next fall! Happy travels!